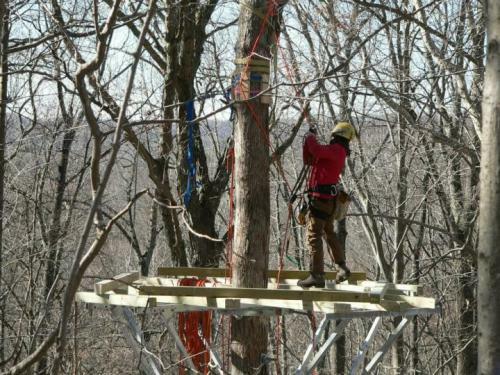 We wanted to bring the best canopy tour possible to Southern Illinois, so we hired the best builder in the business, Geronimo Construction. Their building and operational experience were key factors in their selection. All aspects of the tour have your utmost safety in mind. Our relationship with Geronimo Construction will be ongoing as they return for inspections, maintenance and training. Another factor in the selection of Geronimo Construction is their proprietary design features and an eye toward operational longevity. 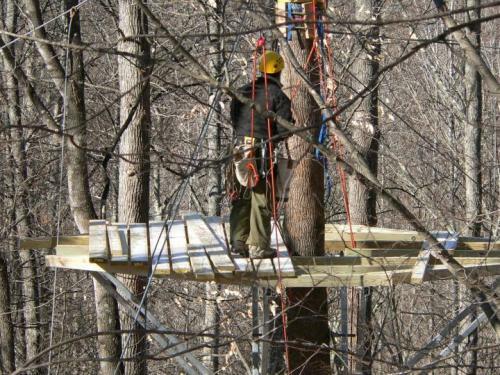 Their platform structures have the fewest tree intrusions in the industry and allow for unobstructed, natural tree growth.